Lola aka Polly is a beautiful 11yr old Am Staff Terrier mix. She lost her home that she had since she was 2yrs old because she wasn't adjusting well to the new toddler in the house. She loves her adult humans, but does not care for small children and other dogs, so she must be the only dog in the house. She is very healthy, energetic, playful, and sweet. She loves to snuggle with her adult humans. She loves walks, going to the beach, and car rides. She is spayed and current on shots. 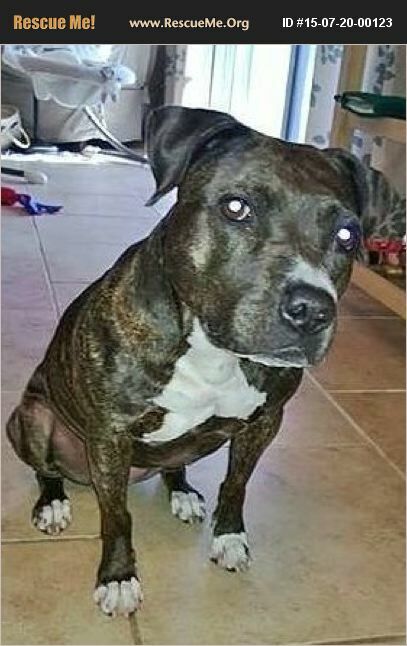 She is currently in Newberry, Fl, but transport can be arranged to SW or Central Fl.